Kick off your visit on the 6th (Sun): Head underground at Jewel Cave, explore the fascinating underground world of Lake Cave, then Head underground at Mammoth Cave, and finally look for all kinds of wild species at Sunflowers Animal Farm. On your second day here, enjoy the sand and surf at Meelup Beach, explore the fascinating underground world of Ngilgi Cave, and then take in the dramatic natural features at Canal Rocks. 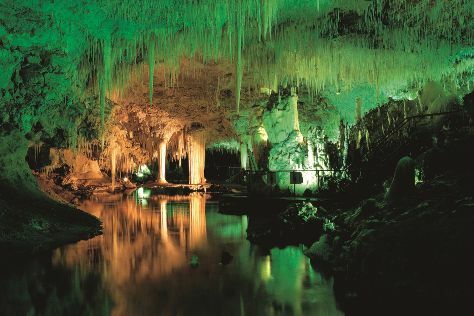 To see ratings, where to stay, maps, and more tourist information, use the Margaret River trip itinerary maker website . Bengaluru, India to Margaret River is an approximately 19.5-hour combination of flight and bus. You can also do a combination of train, flight, and bus. The time zone changes from India Standard Time to Australian Western Standard Time, which is usually a 2 hour difference. Finish up your sightseeing early on the 7th (Mon) so you can travel back home.